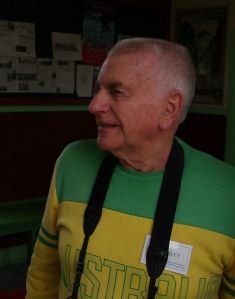 Bill Kingsley passed away on Wednesday 3 May 2012 in the evening due to Cancer. Bill was essentially the creator of COTMA and although no longer an office bearer, still took an active part in COTMA Activities such as the Conferences. Bill joined the then Ballarat Tramway Preservation Society in 1971 and was an active participant in the construction of the track work and then driving trams which he enjoyed. He had just spent his normal Easter break driving trams in Perth which said gave him great pleasure. Bill along with other members of Ballarat arranged the first tramway museum conference in 1975 and subsequent to the formal formation of the Council of Tramway Museums of Australasia, became its first Executive Officer, a post he held for many years. Prior to myself taking over the position of Chairman in 2002, Bill was the Chairman. Active in other rail areas, Bill was the tour organiser for the Rail Passenger Transport Group, running a tour to New Zealand earlier this year. He took a keen interest in what was happening around the world in both heavy and light rail. We had planned a debrief after my trip. In his working life he was a lecturer in Civil Engineering at the Footscray College. His other passion for many years was umpiring basketball. I saw Bill in Hospital on Saturday 21 April, where he was in good spirits and planning to attend the Adelaide Conference. I spoke to him again on Tuesday 24 April, just before leaving for a six week trip in Europe. He said he was tired, but had just commenced a new round of treatment and was looking forward to going home in a couple of days. Sadly, just over a week later, Bill had passed on. Bill’s work in founding COTMA and his subsequent vision is why COTMA is a successful organisation and why tramway museums throughout Australasia have a very strong co-operative relationship. He was 76. 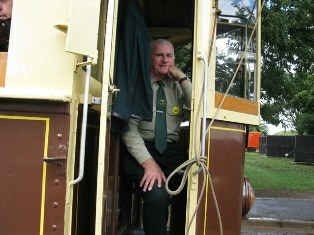 Thanks Bill for 40 years of support and work for the tramway museum sector in Australasia. Bill in the cab of Ballarat Tramway Museum's tram 661, Begonia Festival 2010, Photo Austin Brehaut. Bill on tour in NZ, 2007, Photo Dave Hinman.